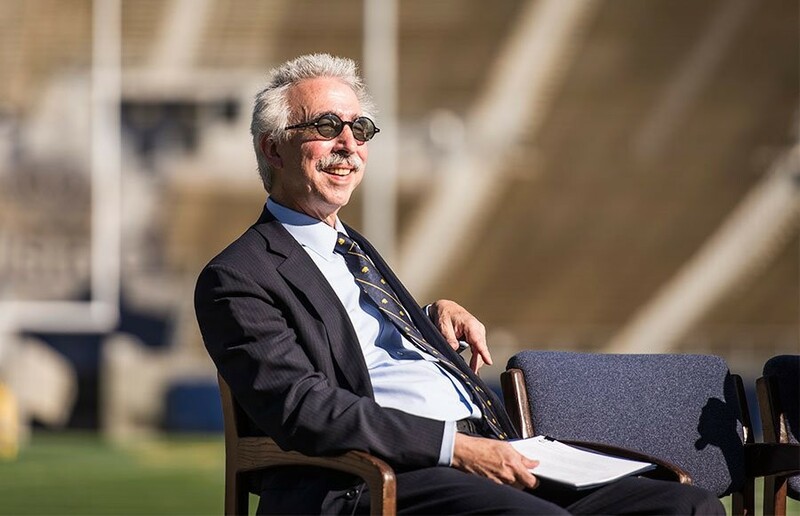 Chancellor Nicholas Dirks has long been a mystery to many of us. Since his appointment as chancellor in 2013, he’s had everything from anger to mustache-related obsession directed at him. After all these years of speculation, we at the Clog have stumbled upon a number of coincidences that, when put together, lead us to ask one very serious question: Is Nicholas Dirks, our esteemed chancellor, a werewolf? Have you ever seen Dirks during the night of the full moon? We at the Clog haven’t and we’re beginning to think it’s a little strange. We have, however, heard howling. Coincidence? Maybe not. In a similar vein, we at the Clog have never seen Dirks touch silver. It is widely accepted in werewolf lore that silver will burn or kill werewolves, so this possible lack of contact with the metal is highly suspicious. Werewolves are notoriously hairy. Dirks’ mustache has been called a work of modern art and a facial hair miracle. But we have to wonder if that’s really a miracle at all — it could be one of the signs of lycanthropy manifesting itself in his human form. In werewolf fiction such as “Teen Wolf” and “Twilight,” the werewolves are healed of most existing conditions, whether nearsightedness or chronic illness. Faking the need for glasses would be a clever way to evade detection. We’ve long questioned why Dirks chooses to wear such tiny glasses. In fact, it seems like he can’t even see out of those, because they’re smaller than his eyes and usually more at the end of his nose. Perhaps they’re only there as a front. Many fictional works involving werewolves also include an altered aging process, where the werewolf does not show visible signs of aging or appears to be invulnerable unless killed. In the time that Dirks has been in Berkeley, we have not noticed visible aging. We all know about the fence that Dirks built around his house. But now we must ask — did he build it to keep students out? Or did he build it to keep something (himself) in? In “Harry Potter,” Remus Lupin transforms in the Shrieking Shack so he can’t bite people. Is this a similar situation? It would certainly explain the expense and importance of this fence. We merely set out the evidence, but you must come to your own conclusions. Take caution on the bright nights of the full moon, Bears.